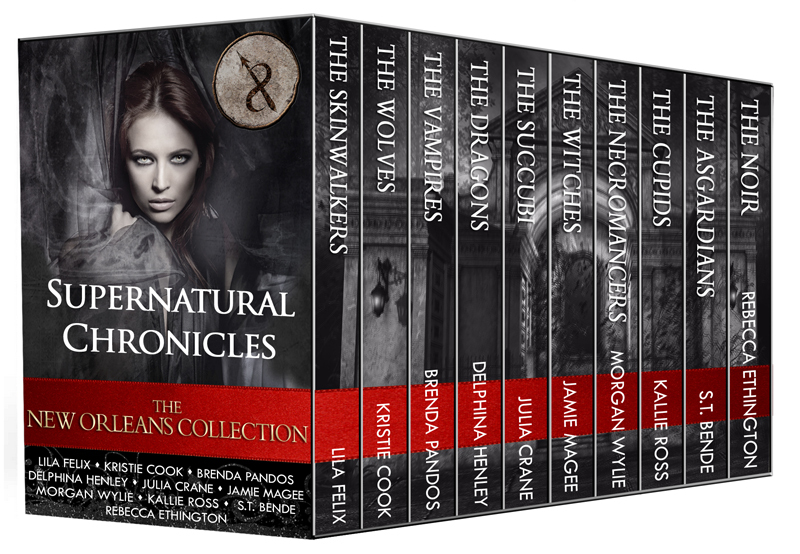 Preorders for Supernatural Chronicles: The New Orleans Collection are now live on all vendors. If you weren’t able to read all 10 stories individually or have been waiting on the box set, it’s almost here! Even if you have read them all, the box set offers a new Hunt with another grand prize at the end. Links are below. Get yours today for the introductory price of only $5.99! That’s the equivalent of 3 full-length novels for the price of a cup of latte. Get yours today! 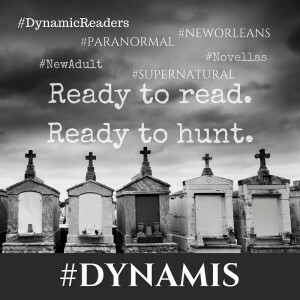 Ten original novellas, following each supernatural race as they fight an elusive enemy, are written by New Adult authors Lila Felix, Kristie Cook, Brenda Pandos, Delphina Henley, Julia Crane, Jamie Magee, Morgan Wylie, Kallie Ross, S.T. Bende, and Rebecca Ethington. Come join them for the hunt, discover hidden treasures inside, and enter to win an iPad Mini.